I first saw Kali at 4 months hiding under a chair at an agility show, although we hadn't intended on another dog as we had only had ruby less than a year, she came home with us that day. Kali is a very complex dog, fear reactive of people and dogs and we have spent a lot of time using positive training to improve this. She is a thinker and always wants to do her best. Kali qualified for a number of finals in her first year of competing. She has recently moved up to grade 6 (the second highest level) after a long break due to injury. Kalis full name is Kalyana Mitrata which is Pali for Soul Mate. She is a very special dog and is my shadow and loves nothing more than to throw her legs round your neck and have a hug. Kali competes at Grade 7 and has made her first champ final this season as well as good placings in a range of classes. Not bad for a scared little dog! Zeal is my first 'properly bred' dog. I spent a lot of time talking to people and finding out about health tests and lines and researched the epilepsy database to see what lines to go for and avoid. Zeal was not meant to be mine, I was due another pup but sadly the mating hadn't worked and he was a last minute decision! They say that things happen for a reason and I am really grateful his breeder allowed me to have him! 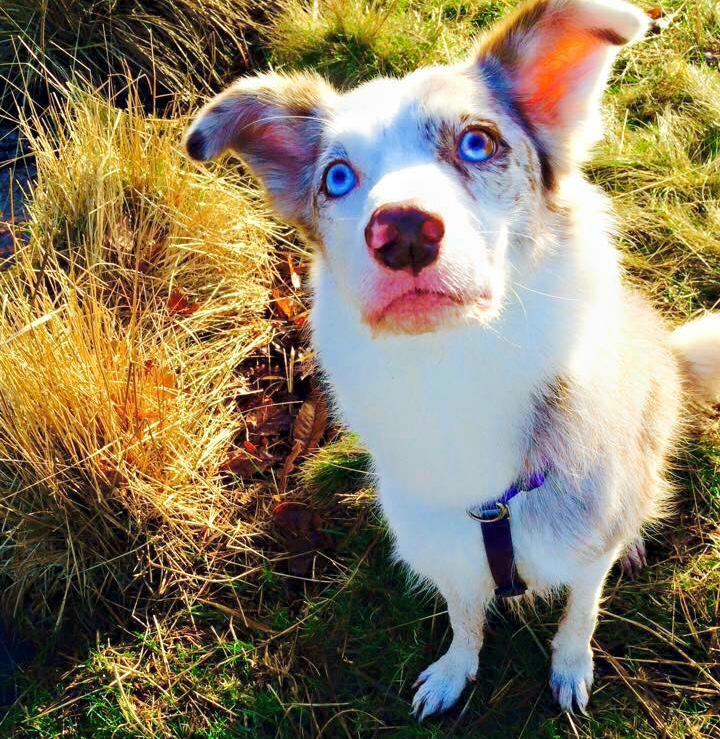 Z is a high drive collie with lots of chase instinct and is incredibly friendly and an independent nature. He is now 21 months old and his training is progressing well. You can start to compete with dogs at 18 months but we are taking our time and I hope we will come out in 2019! Izzy belongs to friends and students and I have been fortunate to get the chance to train and compete with her. Working with a dog that you don't live with brings some challenges but Izzy has a great attitude to training! She has running contacts on her dog walk and A frame which are quite common if you want to compete up to the top grades now. She has currently done 3 shows and has just learnt all the equipment. I am very excited to see how she progresses as we develop our partnership and she grows in confidence. 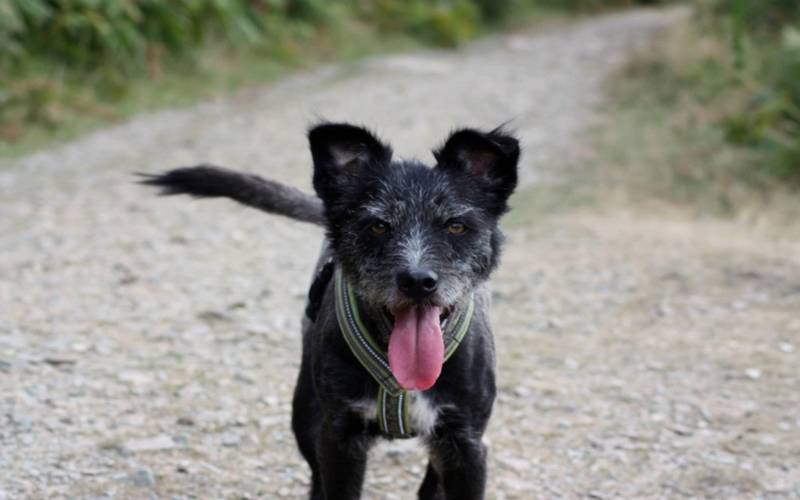 Quinn is an 8 year old Cairn x Collie. He was the result of an accidental mating and was bigger than his mum when we collected him at 8 weeks. Quinn is the glue that keeps my dogs together. He is generally quite laid back and is loved by all the girls. Although trained in agility, he did not enjoy competing and is much happier doing cross country running with Gary. Ruby came to live with us when she was 4 as unfortunately her owner had died. 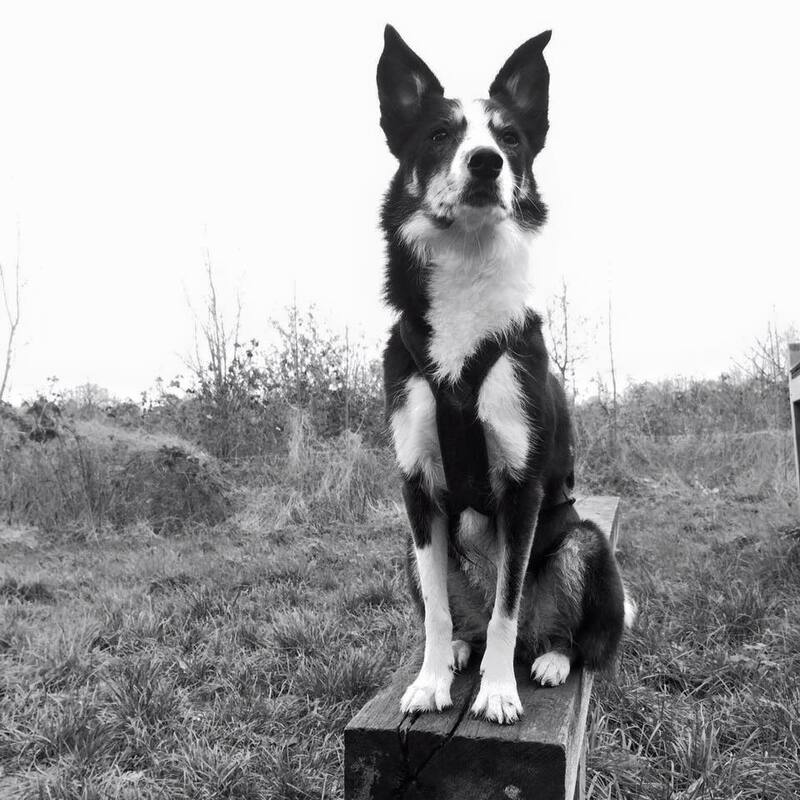 She is our first collie and has taught us both an awful lot about dog behaviour. Ruby is reactive of other dogs so we had to learn how to manage that and was also quite sad and overweight. 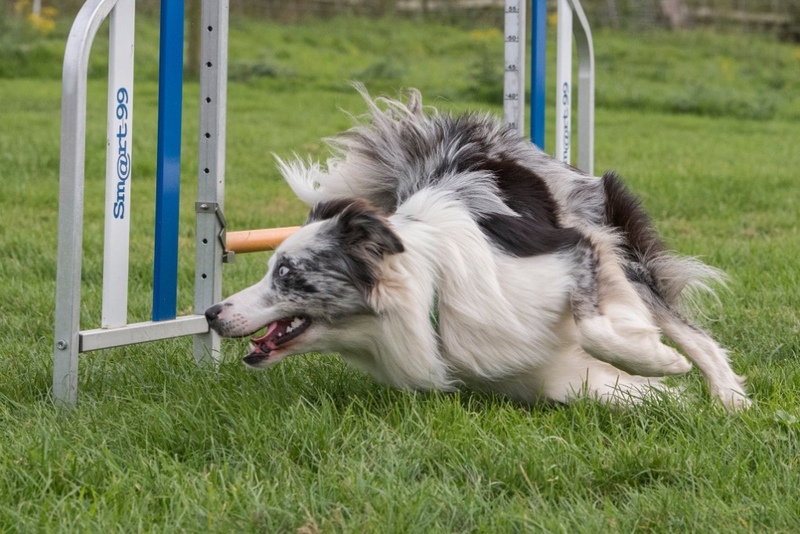 Ruby started competing in agility and was very enthusiastic and wild. Unfortunately she picked up an injury and we decided to retire her at 6. She also showed signs of early onset arthritis. 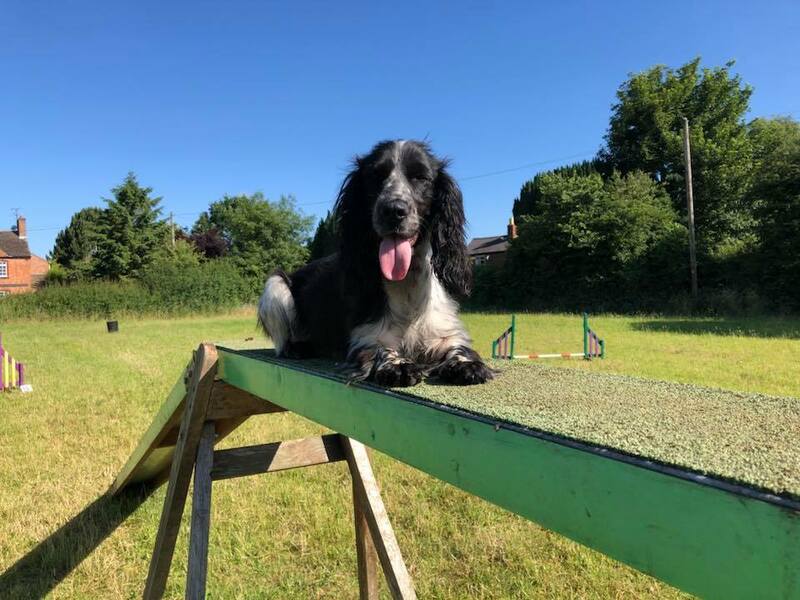 Ruby recovered really well and still thinks she is a puppy and goes running and has an occasional play on some agility equipment. She is very much the comedian of the family and will have long conversations with you! Although my parents had dogs since I was 9, Sodah was the first dog I owned. I originally wanted a collie but Gary thought they were too difficult as a first dog. How we laugh now! Sodah was a wilful, hard headed, driven determined dog, actually my perfect agility dog! She competed at KC grade 7 and ran in Champ classes and made a few finals including her very last champ class. Highlights of her career included qualifying for the final of the British Open competition at KCI in August '15, just missing out on going to crufts. Sodah was sadly killed in an accident just before Christmas and is very much missed.